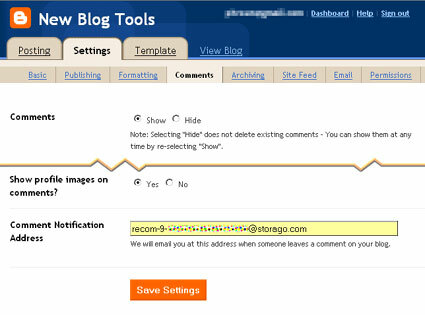 Blogger have developed an inline (embedded) comment form which can be enabled through Blogger in Draft. This is probably the most requested feature for Blogger, and I'm sure many of you will want to use this straight away! Check the radio setting for "Embedded below post" which will enable the display of the comment form below your blog posts. If you have customized your template, you will need to make a small change to your template code for this comment form to display. But don't worry, it's a very simple customization to make! Then save your template. Now when you view a post page in your blog, you should see the new comment form in place! Update: As many of you have pointed out in the comments, not all templates feature the code I've described above. Then save your template. This method adds the required code for the comment form without having to alter the whole comment area, and is very useful if you have experienced problems using the original method Thanks for the hint, Is! If you don't see your comment form, make sure you have changed this setting through Blogger in Draft and have added your code in the correct place in your template. You can see this comment form in action beneath this post. Using this comment form allows readers to comment using their Google account, OpenID, Name/URL and all of the settings previously available when using a pop-up or full page comment form (depending on the settings you have chosen). I am very happy to see that Blogger have listened to our requests and have added this great functionality to our blogs. There are also some other new features added to Blogger in Draft including an improved posting page and import/export features which you can read about in the Blogger in Draft blog. Please let me know what you think of this new feature by leaving your comments below. You can use the URL for your comment feed to enable a link for subscribers; to syndicate through Feedburner, or simply to provide a list of recent comments which is drawn from your comments feed. Note: to display no excerpt at all, you can simply replace "100" with "0". I hope this update has provided useful information for those publishing their Blogger blogs via FTP. Please accept my apologies for assuming FTP blogs didn't publish comment feeds! Many thanks go out to Pete for his helpful comment and information. Template Monster is one of the oldest and best known resources for web designers. To celebrate the upcoming 4th of July, Template Monster has launched a lottery of the best kind: one which rewards everyone who takes part! What's more, by entering this lottery, you are in with the chance of winning an extra special prize too. To enter this lottery, you need to cast your vote for one of two excellent website templates which will be showcased between now and the 9th of July. The concept is similar to an election: the web design which receives the most votes will be declared the winner. But unlike a regular election, everyone who casts their vote will receive a free themed icon set! 3x Vouchers to receive a 50% reduction against any product in the Template Monster database. Template Monster provides website templates; professional business logos; stock photograph images; icon sets; flash templates and much more! Whether you need to create a fully fledged website or simply need to update your blog design, you can be sure one of these prizes would be an excellent prize to win. Each and every participant in the Template Monster lottery will receive a free icon set, which includes themed images for the 4th July celebrations. If you're looking for some free professional icons to decorate your blog template (or simply to add to a celebratory post) for Independence Day, then it would be worth your while to take part in the lottery. You may also want to check out some of the other patriotic templates available on the site for more examples of inspirational designs. What's more, if you purchase any product from the database between now and the 9th of July, you will also receive a free icon set! Template Monster also feature some free web elements, such as clipart, flash buttons and fonts which are well worth checking out if you're on a budget. Don't forget to enter the lottery before the 9th of July in order to receive your free icon set and be in with the chance of winning a great prize from Template Monster! Two weeks ago, I asked Blogger Buster readers to vote for their favorite type of content through an interactive poll. Overwhelmingly, it seems my posts about customizing Blogger templates are the most popular: this option received 39% of the overall votes (more than double the percentage who voted for Blogger Template downloads!). I'm happy to have conducted this poll as I now realize that my "how-to" style articles are among the most popular and requested from readers as a whole. I was surprised to see that none of the options I'd posted received a huge minority though. Hopefully this means all of the post types I publish here are useful for your needs and interests? On the original poll page, some of you suggested other ideas for post content. In particular, Alan suggested a regular "Question and Answer" post (which was seconded by many others in the comments for this post). Thank you Alan, I think this is an excellent idea! Due to the amount of email I receive, it has become increasingly difficult for me to answer all questions sent by email; using a Q&A feature would enable me to answer some Blogger related questions in a way all readers may benefit from, as my answers will be published on the site. I plan on posting this Blogger Q&A feature each Monday (beginning next week) so if you have a question about your Blogger blog which you'd like me to answer in Monday's post, please leave me a comment with your question and blog URL below this post. I can't guarantee to answer every question, and will instead focus on the questions which are of the greatest interest to you all. Another redesign for Blogger Buster..? In recent weeks, I've received constructive feedback to suggest how the design of this site may be improved. Currently, my templates makes heavy use of scripts and images; these slow down page loading time, and can make reading articles difficult for those browsing with images disabled. Reader experience of Blogger Buster is of great importance to me. While I do love the current design, I have begun designing a new and improved template which I hope will be much more beneficial to you all. I'm also considering adding a forum to Blogger Buster, which I feel would add a greater sense of community and interaction to the site. Would you like to see a forum added to the site? Thank you to everyone who voted in the poll, and also to those who offered feedback via comments and email. I truly appreciate all feedback and suggestions for how Blogger Buster may be improved, so don't be shy: tell me what you think! Don't forget to ask your Blogger related questions for Monday's Q&A post by leaving your comments below. All blogs which are hosted on Blogger publish a comments feed along with their blogs. But those who choose to publish via FTP to their own hosting account are unable to publish a feed for their comments. Update: FTP blogs do publish a comment feed! I have written a separate post about comment feeds for FTP blogs, which includes the URL structure you should use, and also a script which can be used to display recent comments. Thanks to Pete for this helpful information! In this post, I'll explain two different methods you could use to display recent comments in your FTP published Blogger blog without accessing the comments feed. Blogger recommends making use of template tags to display recent comments in the sidebar of Classic templates. This is not strictly a list of recent comments, as it can only parse and display comments from the page on which it is displayed. Therefore, on the home page, this code will display comments which are associated with posts displayed on the home page. More recent comments may have been made on previous posts in the archives, but due to the nature of this code, these comments will not be displayed. Paste this code into the sidebar (or other) section of your blog's HTML code, which can be seen in the Template>Edit HTML section of your blog's dashboard. This will display a list of the names of commenters, followed by the comment permalink. This will display the commenter's name and comment permalink followed by the entire body of the comment. Be careful when using this method, as there is no way to display only a summary of the comment. If readers leave rather long comments on your posts, this will take up much space in the sidebar! Storago provides a useful service to display recent comments which will display a true list of recent comments for those publishing by FTP. After logging in, you will see a page featuring the tools accessible to you. Choose the "Free recent comments add-on" link. Then choose to add a new blog. On this page, you need to copy the "Comment Notification Email" address, which will be something like recom-123-someword@storago.com. Then go to Settings>Comments in your Blogger dashboard. Add this email address into the comment notification area near the bottom of the page, then save your settings. By default, the recent comments script is designed to display the commenter's name and the title of the post on which they have commented with the date of the comment beneath. Comments published on your FTP blog will display in your recent comments widget as soon as they are posted. If you do choose to moderate comments, you will need to approve comments before they are posted in your recent comments widget. I hope these methods have helped you understand how recent comments may be added to your FTP published Blogger blog without accessing the comments feed. Please note that this post has now been edited to reflect the information posted by Pete in the comments, and that an update about FTP comment feeds can be read here instead. Blogger Wishlist Competition Update: What you could win! Blogger Buster is holding its first competition where you could win the ultimate blogging package by telling us what features you would most like to use in Blogger. To enter this competition and participate in a community project, please read the original competition post and ensure you validate your entry! In this post, you can read more about the prizes on offer in this competition, along with some ideas for your own entry based on what others have posted so far. This competition has been launched in celebration of Blogger Buster's first birthday, and is part of a community project to raise awareness of the features which we (the Blogger community) would most like to use in Blogger. For the chance to win the ultimate blogging package or one of five runner up prizes (see below), you will need to write a post explaining the feature(s) you would most like Blogger to add, then post a comment on the competition page with a link to your entry post. Be sure to read the entry requirements and rules on the original competition page, and post your entries there! The main prize on offer in this competition is The Ultimate Blogging Package: a selection of useful products which I have hand picked as the most useful products and services which are tailored to the needs of Blogger users. This is one of the best templates I have ever designed! It is based on a new design concept I've been working on for Blogger Buster (more news about this in coming weeks) so you can be sure it is optimized for SEO, loads very quickly and has loads of other great features including built in tabbed navigation (I finally figured out the method!). This design will only be available to the first prize winner of this competition. It will not be released as a download here at Blogger Buster (either free or paid). As an extra benefit to the prize winner, I will personally install this template in their blog. In the event that the winner does not require use of this template for their own blog, the winner will still receive the copyright for this template and are permitted to offer this as a download from their own blog instead. However, I will only install this template into a blog owned or operated by the prize winner themselves. To complement the Blogger template offered to the winner, I will also provide them with a tune-up for their blog which will further optimize their blog for search engines and ensure it loads as quickly as possible. This part of the prize is not transferable, and will be provided only to the first prize winner. Blogger users can associate a custom domain (eg: www.yourname.com) with their blog. A domain name purchased directly from GoDaddy comes complete with a basic hosting and email package, allowing extra flexibility for bloggers who need online storage for their images and scripts, and also a professional email address. The winner of the ultimate blogging package will receive a voucher to purchase the domain name of their choice (.com, .org, .net only), and if required I will help set up their custom domain, hosting and email account (not transferable). You can read full details of the domain package here. ProBlogger the book is an excellent resource for learning how to build and monetize a successful blog. Written by Darren Rowse (ProBlogger.net) and Chris Garrett (ChrisG.com), this book is a bestseller of the blogging genre and has received excellent reviews. Unlike other books that are big on potential and theory, ProBlogger provides results based on the authors own experience of what really works through practical, tried and tested advice. No matter which genre you write about through your blog, this is an essential book for your reading list! Moo Mini-Cards are a fun and practical way to promote your blog offline. 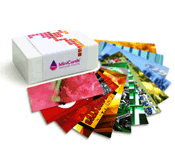 Unlike regular business cards, you can personalize each Moo card in your pack using pre-made templates or your own designs. This prize includes international shipping, and details will be sent to the winner in the form of a voucher to redeem at Moo.com. The first prize winner will also win one month's free advertising here on Blogger Buster in the form of a 125px square ad at the top of the sidebar to assist in promoting their blog (worth $30). Entrecard is a new and highly useful social network which allows members to earn points which can be used to advertise for free on other members' blogs. Each runner up will receive 500 Entrecard credits transferred to their account to help towards advertising on other blogs in the network. Each of the five runners up will also receive a one month advertising slot in one of the new 30px square slots which I've introduced to the site. These slots are currently available through BuySellAds for $10 per month; the size of these ads is similar to a large Favicon and link to your blog (or a page within your blog) using title tags to explain what your site is about. Your feature suggestion need not be unique! Through this project we are trying to encourage the Blogger team to develop the features which we would find most useful. Writing about these suggestions and promoting through this community project is more likely to make Blogger take notice of our needs and work towards developing these features which can only benefit the community as a whole. My hope is that the prizes offered through this competition will offer you all more incentive to join in! As explained on the main competition page, entrants should write a post on their own blogs about the feature they would most like to use in Blogger. To verify their entry, a comment including the link to their blog post should be made on the competition page. The competition closes on Friday the 4th of July at 10pm, GMT. Winners will be drawn at random soon after the competition closes using Research Randomizer, with one draw to determine the overall winner and a separate draw for the five runners up. Winners will first be contacted about their prize and announced later in a follow-up post. Please be sure to read the full details (including the competition rules) on the main competition page. Entries should be submitted on the competition page only to ensure your entries are verified and included in the draws. Please do not add your entry URL on this page as your entry will not be counted! Your entry can be in any language, and will be accepted so long as it follows the rules of entry! You must provide a link to your entry post by leaving this in a comment on the main competition page! Don't forget, this competition closes on Friday the 4th of July at 10pm GMT so be sure to validate your entries before this time! I wish you all the best of luck for this competition, and look forward to reading more entry posts! To receive further updates about this competition, and also helpful articles about using Blogger, please subscribe to the Blogger Buster feed. Update: Entries are now closed for this competition. Thank you to everyone who participated! The winners will be announced after the draw of all successful entries tomorrow (Saturday 5th July), and I will be contacting the winner and runners up personally about their prize. In celebration of Blogger Buster's first birthday, I am happy to announce the first ever site competition where you could win the ultimate blogging package by taking part in a community project! A better selection of templates for us to use! The Blogger Team are constantly developing new features for us to use. While we could make use of the Blogger wishlist to vote for the features we'd most like to use, there is much to be said for the value of raising awareness through our blogs! What better incentive to post about the features we most desire from Blogger than the chance to win the ultimate blogging package..? Many readers have commented or contacted me about features they would like to be able to use in Blogger. While I can create tutorials and widgets which serve many of these needs, there are some features which we would benefit from if these were available within the Blogger platform. For some time, I have wondered how we could encourage the Blogger team to work on the features we would most like to use. Then I realized the answer is simple: Ask! One person's request may not hold much weight, but if we can work as a community, Blogger will be much more likely to take note. The winners will be chosen at random from a list of all successful entrants using Research Randomizer. A complete blog tune up (including optimizing for search engines and page loading time). A set of MiniCards from Moo to help you promote your blog offline. Note: to prevent this post becoming too long, I'll write a separate post to explain all about these prizes (and relevant terms) in full detail. In addition, five runners up will each receive 500 Entrecard credits and one month's advertising with the new 30px square banners (these will appear in the sidebar later this evening). This competition is open to anyone who actively uses the Blogger platform to publish their blog, whether you have had your blog for a week or several years. The competition will run for two weeks, and all entries should be received before Friday the 4th of July at 10pm GMT. Write a post in your own blog explaining which feature (or features) you would most like to be able to use in Blogger, and why you would like to use it. This post should include a link to Blogger.com or (preferably) the Blogger Wishlist page, which I will explain shortly. Once you have published your post, come back to this page and leave a comment to verify your entry. This comment should include a brief explanation of the Blogger feature you would like, and a link to the URL of your blog post. To decide the winners of this competition, I will place each entry into a numbered list in the order the entrants comment was received. Using Research Randomizer, I will first select one random entry according to their number who will win the grand prize. Then a second random selection comprising of five entries will be selected in the same manner; these entrants will each receive a runner-up prize. I will contact each of the winners about their prize as soon as the draws are completed and will announce the winners on this blog soon after (so please provide a means of personal contact on your blog if possible!). Your entry should be at least 100 words long (or two short paragraphs), though of course you can write far more if you prefer! Entry posts which are only one or two sentences long will be excluded from the prize draw. You must post about a feature which is not currently available for us to use in Blogger. Only one entry is allowed for each person. Of course, you can write about your own Blogger wish list as many times as you like, but only one post will count as your entry requirement. If you post to more than one blog, write your post for the one where it would be most appropriate. You must confirm your entry by leaving a comment with the URL of your post. A backlink to Blogger Buster is not a requirement for entry, so this will be the only way I can be sure you have entered the competition! Entry must be confirmed by leaving a comment before Friday the 4th of July at 10pm GMT. This will be confirmed by the timestamp of comments left on this post. Entries received after this time will not be included in the draw, so be sure to enter before the deadline! The main reason I devised this project and competition is to raise awareness of the features we would most like to use in Blogger. By entering the competition, you are taking part in this community project. By writing about the features you would like to use, and linking to Blogger, you can help encourage the Blogger team to work on developing the features and services which are most important to us! Once the competition deadline has passed, I will collaborate the details of the most requested features and post the results here on Blogger Buster as my own contribution to this project. As I mentioned earlier, a link to Blogger Buster is not a requirement for entry. But if you think this project is worthwhile and would like to help generate awareness, I would be very grateful for your help! 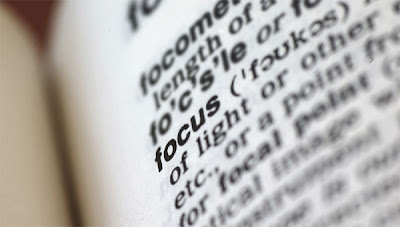 Stumble, Digg or add this post to your Del.icio.us bookmarks. The competition is now officially open! I'm looking forward to seeing how successful this project will be, and wish you all the best of luck for your entries! In this post, I've gathered over 100 useful tips for using Blogger more effectively, which are organized by type for your ease of browsing. Blogger is free to use! Blogger is a great platform for beginners as it's so easy to use. Blogger is also adaptive; as you become more experienced you can learn how to adapt templates and posts to your advantage. With Blogger, you benefit from free secure hosting, no matter how many posts you write, or the number of daily visitors. You can create as many blogs as you need to for free. But if you do decide to delete your blog, the URL will be reserved for you. This ensures spammers can't take over the domain and benefit from your efforts. If you make your blog public, your posts will be indexed easily by Google. Most of these options can be changed in the "Basic" settings section of your blog. You should also set the option to let search engines find your blog! If you specify your blog has adult content, readers will face a warning page before they are allowed to read. Only choose this if you do write a blog for adults only! If you write in Hindi, Kannada, Malayalam, Tamil or Telugu, you can choose transliteration for your blog posts to be correctly displayed. You can change the different domain settings for your blog in the Settings>Publishing area of your blog's dashboard. Try to make your domain name match your blog's title. If you use a layout template, you can publish to a custom domain. Your custom domain can be purchased instantly through Blogger! If you purchase a domain privately, you will need to alter your domain's DNS settings manually. However, to set up FTP blogging, you will need to purchase your own web hosting account, and can only use a Classic (non-widgetized) template. If you switch from FTP hosting to using a custom domain, you can specify a missing files host to ensure no files or images are lost. If you need to change options for these settings, refer to the Settings>Formatting area of your dashboard. If your posts are generally long, choose only to display a handful on your blog's main page. But if your posts are quite short, you could post many more without affecting page load time. Alternatively, you could choose the timestamp which matches the time zone of your biggest blogging audience. Either way is good though: readers don;t generally pay attention to the time a post was published: content matters far more! If you use the same code or content for most of your posts (such as Adsense in the body of a post) you can add this to your post template. You could also use this option to add a different style of background to each of your posts. Here are some tips to make your comments more reader-friendly. Settings for your comments can be changed in the Settings>Comments section of your dashboard. If there are certain posts for which you don't to display comments, you can change this setting on the editing page for each post. Non-blogger users can feel confused of they must log in before leaving a comment! To prevent any reader feeling excluded from your blog's conversation, choose to allow "Anyone" to comment. ...Or choose to moderate your comments, to have complete control of what is published on your blog! Choose to show comments in a pop-up window to ensure readers can easily get back to your post. You may also add a message to the comment form to specify any rules for leaving comments (or simply to greet those who create conversation from your posts). Help readers understand that you have replied to comments by customizing author comment styles. Enable profile images for comments to add a sense of community to the comments page. But the only way to display avatars on comments beneath your posts is to use the MyBlogLog comment avatars hack! ...Though I'd advise against using this AND moderating your comments. Readers can become quickly frustrated with such a restrictive system! If you don't moderate and notice an undesirable comment has been posted, you can quickly delete this directly from the comments section of your post page, or on the comments pop-up page. Readers who comment while logged in to their Google account can choose to receive email notifications when a reply is posted to their comment. ...So you may want to consider removing the "no-follow" tags. This rewards commenters by offering a backlink which Google will recognize and helps attract more people to leave comments on your posts. Responding to the comments made by your blog readers is a good way of developing a sense of conversation through your blog. Readers are more likely to leave comments if they notice the blog author responds, and may even become more frequent visitors. Enabling backlinks provides links (and snippets) of links to your posts from other blogs. Backlinks can be hidden if you prefer. You can also delete certain backlinks if you consider the source to be spammy or inappropriate. Technorati users can add a "Links to this post" widget (with a more accurate backlink count than Google's Blog Search) by pasting a line of code into their templates. 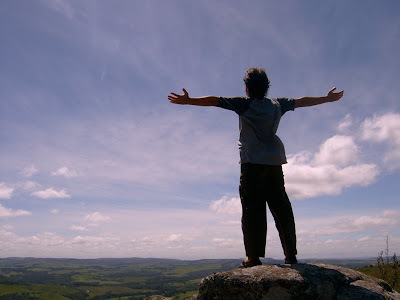 Trackbacks are different from backlinks because they are generated through blogging software rather than natural links. Blogger doesn't support trackbacks (but in my opinion, backlinks serve a better purpose). Or if you simply want to send a trackback to the blogs you reference in your posts, consider using the WizbangTech Trackback Pinger instead. The easiest way to add links to your archive pages is to add an archives widget to your blog layout. Each "archive frequency" creates a unique page in your blog's archives, in addition to the main and post pages of your blog. If you change the archive frequency in the Settings>Archiving section of your dashboard, the URL of these archive pages will change too. These days, many blogs feature a unique page for their archived posts. Blogger doesn't provide us with the code to achieve this automatically, but it is possible to create an archives page by hand. You can change the basic settings for your blog feed in the Settings>Site Feed section of your Blogger dashboard. All Blogger blogs have the ability to generate a feed. This enables you to syndicate your content, making your posts more accessible and more likely to be read. Blogger blogs produce feeds in Atom format. This is very similar to RSS, and can be promoted in the same way. Enabling "full" feeds presents your entire posts to feed subscribers. Short feeds provide only a snippet of your posts, encouraging readers to visit your blog for the entire post. ...However, many blog authors promote "full" blog feeds as this may encourage more readers to subscribe. Display a link to your blog feed in a prominent place in your template. This will encourage readers to subscribe. If you log in to Blogger in Draft, you can add a "Subscription Links" widget. This provides badges for readers to add your blog feed to their favorite feed readers with ease. Feedburner is the most popular and useful free service for syndicating your blog feeds. If you don't already have a Feedburner account, I would advise you to create one right away. Once you have "burned" your first blog feed, you are able to redirect your blog feed through Feedburner. This ensures all your readers receive the same feed, and adds much more functionality to your feed. When you redirect your feed through Feedburner, you can also monitor the true number of subscribers to your blog. Using Feedburner allows you to set up email subscriptions for readers who don't use (or prefer not to use) a feed reader. FeedFlare allows you to add links beneath each item in your Feedburner feeds. Flares available include social bookmarking links, number of comments for your Blogger posts, and even a copyright notice! You may also like to use my "Author and Permalink" FeedFlare, which helps discourage scrapers from stealing your blog content. Many other services can use your blog feed to monitor growth and article success. Blog Perfume's Feed Analysis offers an overview of feed statistics over time, and can even advise how much you should be charging for monthly ads! AideRSS offers lots of information gleaned from your feed statistics, including analysis of your most popular blog posts. It's easy to add new authors and start a "group blog" with Blogger. Simply invite new writers by sending an email from the Settings>Permissions page in your blog's dashboard. Once a new author has confirmed their status, you will also have the choice of offering administrative privileges. The names of all blog authors are displayed beside the list of blogs in your profile page. Using the "Compose" mode is the easiest way to write a blog post. The compose mode is a WYSIWYG editor (What You See Is What You Get). This enables you to drag and drop images (and other media) where you would like them to appear. Writing posts in Edit HTML mode allows you much more control of the code of your posts. You can upload images to your blog posts using either the compose or Edit HTML mode. These images will be stored in your free Picasa account, and you can access them any time. You can also use images which are hosted elsewhere by linking to the image URL. However, you should only use web images when you with copyright permission from the image's author. You can upload videos from your computer to be displayed in your blog posts. These videos will be hosted by Google Video. You can also display videos from YouTube by adding the video code to your post when editing in Edit HTML mode. Use color, headings, lists and other stylistic elements to make your posts more interesting. You may also want to consider advanced post styling methods to add even more interesting features to your articles. Add "Labels" to your posts which categorize them by subject. Then you can add a labels widget to your layout which helps readers find the posts which interest them the most. Try not to use too many different labels though: a great long list can be unattractive and confusing for your readers. Posts can now be scheduled to be published at a later date and time. Using this function means you don't have to be online at the time you want your posts to appear on your blog. Research shows that weekdays are the best time to post of you want your posts to be successfully received. You can edit your posts easily from the "Edit Posts" tab in your dashboard, or by using the pencil icon when viewing your blog while logged in to your Google account. You can add, remove and edit labels in bulk through the Edit Posts page. Simply check the boxes next to the posts you want to edit, and choose the function for the label you wish to edit. If you change the title of a blog post after it is published, the URL of the post will remain the same. If you change the published date of a post once it is published, the URL of this post will change too. And even by using your Flickr account! Scribefire, Zemanta and Windows LiveWriter are also useful tools which can add interactivity to your posts. Blogger offers two options for your template: XML based Layouts (which are widgetized) and Classic templates (HTML based, without drag and drop without drag and drop widgets). The default template type is the Layouts style. If you have recently begun using Blogger, chances ate you'll be using this widgetized style. You can switch between Layouts and Classic templates easily through the Layout or Template tab of your blog's dashboard. Both styles of template offer complete access to the HTML code used to generate your blog display. This allows you to edit your template whenever you like, or even upload a completely new one! You can add widgets to your blog through the Layout>Page Elements section of your blog's dashboard (and there are many useful widgets to choose from). Widgets can be moved to different places of your template using drag and drop functionality. You can also find many Blogger widgets that can be installed directly to your layout. When using Blogger in Draft, you have access to hundreds of Google Gadgets which can be added in just a few clicks! If you change to a different "default" Blogger template, your widgets will be retained and stay in the same place. If you choose to upload a new Blogger template, your existing widgets may be lost. You can back-up your Layouts template by downloading the XML file to your computer. This allows you to restore your template if you make mistakes when editing the template code. To give your template a whole new look, you can download a new XML template. There are two different formats of XML templates to download: an XML file or a text file. XML format templates should be downloaded to your computer and saved with the .xml extention. You then upload this as a complete file through the Layout>Edit HTML page of your dashboard. To use a template offered in Text format, you should copy the code and paste in place of the HTML code (learn more about this). If you receive an error when uploading an XML file, this may be because you have too many existing widgets in your layout (which Blogger has trouble deleting). The message "Your template could not be parsed as it is not well formed" message usually appears if you are trying to paste the contents of an XML file. Only text based files can be pasted to your template. If you see many dashes to the left of the lines in the template code, this means you are looking at an XML based file which should be uploaded instead. It is possible to transfer widgets from one template to another. It's time consuming but worthwhile! Classic templates cannot be uploaded to a blog using the Layout format. If your new blog template includes lines like <$BlogTitle$> and <$BlogDescription$>, this was intended for use in a Classic template instead. You can change the style of your template by editing the template code directly. New templates may be uploaded easily by copying and pasting the template code. You can back up your template by copying the HTML code and saving as a text file on your computer. If valid HTML is important to you, use a Classic template and code your template well. Layouts templates are very difficult to validate because of the structure of CSS and widgets! Layouts templates cannot be used if you publish using the classic template format. If your template code you have downloaded contains phrases like <b:widget...> or <data:post.body>, this means you have downloaded a Layouts template which cannot be uploaded as valid template code. There are hundreds of free templates which you could use. 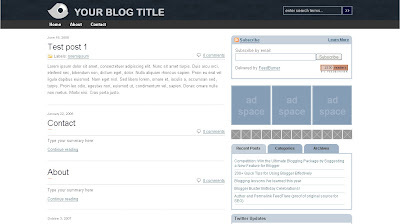 Try to use a template theme which reflects the main content of your blog. Because default Blogger designs are not as memorable as those which have a more personalized style: a unique template is more easily converted to memory than a dull one! Find inspiration for your own designs by looking at showcases of other blogs. Using too many images or external scripts in your template can cause it to load slowly. Make sure that all the important elements of your design are easily visible, including any important links to pages in your blog. Learn how to add a customized favicon to your blog template. Consider adding print functionality to your posts. If you want readers to bookmark your posts in social media sites, consider adding automatic bookmarking links to your template. Highlight your most popular posts in a visible location which gives readers the opportunity for further reading and exploration of your archives. You can learn how to hide the Blogger Nav-Bar if this doesn't appeal to your blog's design. You can view and edit your Blogger profile from the main dashboard when you are logged in to your Blogger account. Create a valid and interesting profile if you want it to be seen by other bloggers. However, you can choose to hide your profile if you prefer to be anonymous! You are able to choose which blogs are displayed on your profile page. So if you use a blog for testing or operate a private blog, be sure to hide this in your profile settings. If you leave a comment on a Blogger blog using your Blogger profile, this will generate a link to your profile page. Some blogs feature profile images on the comments page, so be sure to add an image or avatar to your profile. The author name displayed beneath blog posts can be changed from your profile page. You can choose to add your email address on your contact page if you would like readers to have means of contacting you. You could also add a Froogle Wishlist here which can be accessed by anyone viewing your profile. Use Blogger in Draft to try out new features before their general release. You may also like to learn how to create your own widgets for others to use in their blogs. Watch video tutorials to help you set up your blog. Tell Blogger which features you would like to use. If you're at all concerned about Blogger's terms and conditions, here are some tips you may find useful. If you use your blog to produce spam content, you are likely to have your account disabled until you remove the offending content. Blogger will send you a notice to the email address you registered with, and also> provide a notice in your dashboard to inform you of what to do next. If you don't take action against suspected spam content in your blog, you will ruin the risk of your account being deleted. Learn more about what to do if your blog is suspended due to suspicion of malware, and be sure to take the steps required to resolve this! Blogger will not delete your blog without warning! Only blogs which violate the terms of service (which includes copyright theft) will be deleted, and only then after warnings have been made. Adult content is allowed on Blogger, but you are advised to specify your blog as having adult content by confirming this through your blog settings. Even if you choose not to confirm an adult-content blog as such, Blogger may add a content warning for readers to make them aware of this (which is only fair considering anyone can read a blog, no matter how young they are!). If you discover a Blogger blog which contains spam, copyright theft, violates the terms of service or features adult content without warning, you can report this to the Blogger team who will take action where nescessary. As many of you will be aware, Blogger do not provide an email support system per-se. Instead we can make use of other services and methods to resolve any issues with our blogs. Read about known issues: Blogger may be having a internal problem which is causing problems for your blog. Take a look at the Blogger help center, where you can find answers to many questions about using Blogger and customizing your template. If you've been receiving BX-codes, try looking at the BX-codes blog. Do you have login issues or trouble accessing your account? Take a look at this page. Find out what to do if you find a bug or problem with the Blogger system. If you have a problem using a non-standard template, try contacting the author or leave a comment on their blog. If you have problems using templates and articles featured here at Blogger Buster, leave a comment on the post's page or send me an email (I try to help as much as I can, but this may not always be prompt!). You can also tell me which articles you'd like me to write by using the Skribit suggestion widget in the sidebar. Do you have any useful tips you would like to add to this list? If so, please share your insights by leaving a comment below. There are already over 200 quick tips in this list, but with your help we could make this list even bigger! If you've enjoyed this post, please consider subscribing to Blogger Buster, and receive free articles (and even more tips) to help you use Blogger more effectively. 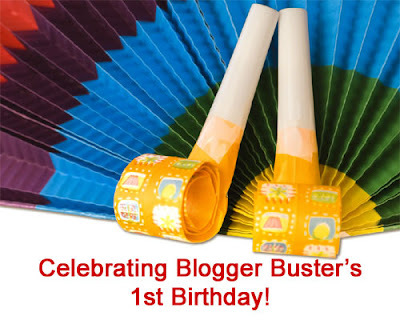 As you may have read in my previous post, Blogger Buster is now one year old! While I may not have amassed a readership to rival that of other blogging gurus, I'm very happy with the successes achieved so far. Celebrating my first "blogoversary" has helped me reflect on the learning process of becoming a professional blogger. So in this post, I'd like to share some of the most important lessons I've learned about blogging which may be useful for you too. Starting out: The first few months of blogging are the hardest! Unless you can launch a blog from an existing successful platform, a new blogging venture will begin at 'the bottom of the pile'. Zero subscribers, no established readership and very little content are the resources we start out with when launching a new blog. This is nothing compared to the thousands of subscribers, monthly visitor statistics and pages of content held by the blogging gurus whose very success may have inspired our new ventures! As I have learned from experience (and I'm sure many others would confirm this), the first few months of blogging are the most difficult to work through. This is a hard lesson for those who begin a new blogging venture. With few incentives to continue blogging, many new bloggers lose interest and abandon their blogs within the first three months. Take it from me: if you can post your way through these first few months of blogging; stay focused; write regularly and retain an interest in your blog, your efforts will eventually pay off. Each small success, whether this be an increase in comments or a rise in AdSense earnings, will lead on on to further achievements. Consider these first few months to be the first chapter of your blog's eventual biography: the plot has not yet truly begun, and the story is just beginning to get interesting! If you can write on a subject which interests you personally, it's much easier to get through those first few months of "empty" blogging. My first few blogging ventures were unsuccessful because I didn't feel passionate enough about the subject to continue writing them. What I did enjoy about these fledgling blogs was learning how to design new templates, customize their layouts, and discovering interesting ways to use blogging services. Documenting these methods and ideas was, for me, far more interesting than writing on any other subject. This developed from a hobby to a passion, and is one of the first things I think of when I wake up in the morning! Writing through passion ensures you will rarely feel bored, unmotivated or yearn for more money/more visitors/more subscribers from your blog. By writing on a subject you are genuinely interested in, you will feel that every success is a bonus to your ventures, which can only motivate you to continue. Readers are much more likely to connect with an author whose passion for their subject can be read between the lines of their posts. Much has been written on the subject of "niche blogging", and with good reason too! Blogs which focus on a specific niche tend to be more successful than general interest blogs. Blogs which focus in a particular subset of a niche have the potential for even greater success. Take a look at the top 50 Blogger powered blogs, for instance: almost every one of the blog featured in this list focus their writing on a very specific subject or genre; their authors are considered "experts" of their niche, and many benefit from offline achievements in the form of book deals, employment, consulting and the like. Such achievements have been generated through their niche focus and the consequent success of their blogs. When I first started writing Blogger Buster, it was with the intention of writing in the broader niche of metablogging (blogging about blogging in general). As I learned more about using Blogger, my posts became more and more focused on this particular subset of the metablogging niche. This development was a natural process for me, but with hindsight I understand this focus has become a big part of Blogger Buster's success so far: regular readers are (generally) Blogger users who are assured that my posts will be useful and appropriate for their needs; I have boundaries for the content I write about, and an everlasting stream of ideas which is generated through communication with my readers. In this year of blogging, I've seen a sharp increase in the number of "make money online" blogs which document the author's journey towards becoming an entrepreneur. While it's certainly possible for bloggers to make hundreds (and even thousands) of dollars each month from their efforts, these bloggers contribute a whole lot of dedication, hard work and patience to see the fruits of their efforts develop on this scale. And as I know from experience, certain niche blogs are much harder to monetize than others! 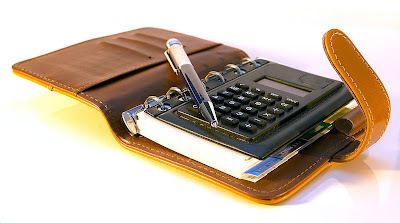 For me, making money from Blogger Buster has always been a benefit, rather than a requirement. I'd hoped to make enough from the ads I display to cover the costs of my domain, hosting package and general internet bills, but to be brutally honest, I've only just begun to make enough money to cover the costs of blogging. My problem is this: the niche I have chosen here is among the most difficult to monetize effectively. There are few ad servers and affiliate schemes which would be relevant for readers of Blogger Buster. Call me moralistic, but I honestly think that plastering a blog with ads (especially those which are irrelevant to the blog's subject matter) can damage a blogger's reputation and actually cause more harm than good. Product based blogs (Darren Rowse's Digital Photography School is a prime example) are much easier to monetize than metablogs (eg: Problogger), personal diaries and other niche subjects. This is because there are far more advertisers, ad networks and affiliate schemes available to sell these products. So if you are blogging with a view to making money online, my advice to you would be this: research your chosen niche; take a look at the type and quality of ads which would be appropriate for your readers, and base your expectations on this! Get organized and plan ahead! As your blog begins to grow, so do the demands on your time. More emails to be read (and replied to); more comments to read, respond to, and moderate when necessary. You may like to tweak your template from time to time, or create a valuable resource for your readers. At the same time, you'll be writing regular posts, researching future content, networking, reading your favorite blogs and all the other activities which day-to-day blogging entails. Unless you are organized and plan ahead for what could happen, you may end up feeling as I have from time to time: overwhelmed, overworked and in desperate need of a break! Being a full time mum AND blogger, it's difficult for me to actually establish an organized routine for my blogging duties. As I'm sure other parents will understand, children have a habit of laying the best laid plans to waste! I try to write content only on weekdays, freeing up the weekend to catch up on emails, networking, research and other non-post related tasks. Whenever I have the opportunity, I write batches of posts ahead of time and make use of Blogger's scheduling feature. Writing lists of tasks helps me keep track of what I should be doing, and when. I answer emails in batches, and only when all other urgent tasks are complete! This is far from ideal, and while I do have plans which could help me become better organized, I still need to free up time to put these into action! The need to organize and plan ahead is the hardest, and most important lesson I've learned about blogging this year! I hope that after reading this, you'll have some ideas of how to prevent bad organization affecting your own ability to blog! There are many types and levels of blogging success: setting realistic goals can help you achieve them! Blogger Buster has never made the front page of Digg; it hasn't helped me earn a million dollar income, and after a whole year of blogging my subscriber base pales in comparison to those of the Technorati top 100. While these factors are commonly seen as indicative of a blog's success, I have learned to take pride in the smaller achievements which contribute to success in the long term. From time to time, I have taken a step back from blogging to look at the bigger picture; I set myself achievable goals and work towards them, one small step at a time. This way, each goal achieved is a small success for my blog: one which can be celebrated; which offers more incentive to continue, to push the boundaries, and to work towards goals which may have seemed unreachable at first. My definition of a successful blog is one which makes the author(s) feel proud of their efforts. So whether your goal is to make a thousand dollars in one month, or simply encourage more readers to comment on your posts, each goal you reach is an achievement, and a building block to even greater success in the long term. 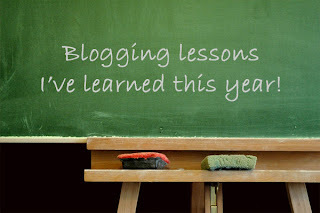 Blogging holds new lessons for us to learn every day: a fact which rings as true for blogging experts as those who are just starting to blog! By this time next year, I'll have learned a while new set of lessons about blogging through Blogger Buster, though for now I hope my insights may prove useful in helping you achieve the goals you set for your own blog's success. Today is a special day for Blogger Buster: it's exactly one year since I wrote the very first post for this blog! When I look back through my archives of the last twelve months, I'm really thrilled to see how much this blog has grown and how my experience of using Blogger has developed. So this week, I'd like to publish a special mini-series of posts in celebration of Blogger Buster's first birthday, concluding this Friday with a fabulous competition as a "thank you" gift to you all for encouraging me to write! I'm not going to post too many details just yet, but what I will say is that simply entering this competition will be useful for you, even if you are not an overall winner! Be sure to subscribe to Blogger Buster to read these posts and receive more news about the competition! I have created a FeedFlare unit which can be added to your Feedburner feed. This generates a link to the permanent page for each feed item, using the post author's name and the title of your blog as the link text. Using this FeedFlare will help Google (and other search engines) determine that your post is the original source of content, and prevent scraper sites from ranking more highly in search engine results. This FeedFlare can be added to any blog feed (not only those hosted by Blogger) and will generate the author's name, blog title and permanent link from the actual blog feed. Once added as a FeedFlare, no additional set-up is required to present the correct attribution for your posts. Scraper sites are blogs which are made for Adsense. Rather than create original content, such splogs prefer to source content from other high ranking sites and present is as their own. Where duplicate content is found in search results, the one which appears to be from the original source will rank most highly, while any sites which appear to be duplicating this content will feature much lower down the page (if their result even appears at all!). Why use a FeedFlare for this? Blogger enables us to add content to the footer of our blog feeds in the Settings>Site Feed section of our dashboards. We could easily add a link to our home page here, but unfortunately we cannot use this to generate a link to each article published on our sites. For better rankings in search engines, it's important to link to the original article. This can be achieved using Feedburner's FeedFlare API, along with attribution to the post author (great for group blogs) and the title of the publishing site. Adding the Author and Permalink Feedflare to your syndicated content is simply a matter of copying and pasting one line of code! Log in to your Feedburner account and access the dashboard for your chosen blog. Click on the "Optimize" tab, then on the "FeedFlare" link in the left sidebar. This is the location where the FeedFlare XML file is hosted on my server. Finally, click on the "Add new FeedFlare" button, then you will see this has been added as an additional FeedFlare option which you can add beneath your posts. All you need to do now is tick the box left of the "Blog Permalink" title, move the position as required and save your preferences. Then as soon as your Feedburner feed is updated, you will be able to see this link appear beneath each entry of your syndicated feeds! You can see this FeedFlare in action now by taking a look at the Blogger Buster feed (opens in a new page). I hope this FeedFlare will be useful for you. Please feel free to let me know what you think about this idea (including any suggestions for improvement) by leaving your comments below.